This week I participated in the sixth annual “Holiday Mail for Heroes” by sending words of encouragement and gratitude to American military troops and encouraged Texans to join in by the December 7th deadline. Created by the Red Cross, Holiday Mail for Heroes allows people to mail Christmas cards and personal greetings to soldiers, sailors, airmen and Marines overseas and at home as well as veterans and family members of deployed active-duty military members. The Red Cross will work with Pitney Bowes to screen all mail for security purposes and then deliver the greetings to over 300 locations worldwide. Our troops are willing to sacrifice everything while protecting our freedom, and we owe them our full support and deepest gratitude. 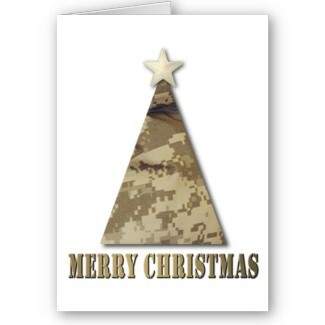 What better way to lift their spirits this holiday season than by sending Christmas greetings letting our troops knows we are praying for them and their families? People may send cards to Holiday Mail for Heroes, P.O. Box 5456, Capitol Heights, MD 20791-5456. Greetings must have adequate postage. Cards received after December 7th will be returned. In December 2007, Walter Reed Army Medical Center in Washington, D.C. approached the Red Cross to distribute thousands of holiday cards coming to the facility for wounded troops. The Red Cross reached out to Pitney Bowes to turn the project into a larger opportunity that could reach members of the military at other facilities. Now in its third year, the Holiday Mail for Heroes program provides Americans with the opportunity to extend holiday greetings and thanks to service members, veterans and their families worldwide. Last year the program received more than 1.4 million cards for service members, their families, and veterans, in communities around the world. Do: sign all cards; entitle cards “Dear Service Member, Family or Veteran;” limit cards to 15 per person or 50 for school class or business group; and bundle groups of cards in single, large envelopes. Do not: send letters; include personal information such as home or email addresses to request contact or reciprocity; use glitter as excessive amounts can aggravate health issues of wounded recipients; or include inserts of any kind as they must be removed in the screening process.